LGR Club Nights are back with another massive party at the Country Club Trent Park!! Join us on Saturday 14th July for another unforgettable party. Our DJs Makis & Avgoustinos will be on the decks, kicking off summer 2018 the Greek way. Doors open at 9pm and the party will continue through till 2.30am. They will be mixing Greek & English hits, all night long. 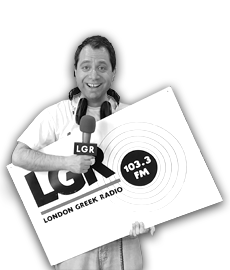 Fusing all the best Modern Laika, Greek Club, Greek Classics and Zeimbekika with all the biggest English hits of the decade. Please note our online tickets shop is now closed. Limited tickets will be available on the door, please arrive early if you have not pre-purchased your tickets. To buy tickets for this event please visit our events page: Greek Summer tickets from Skiddle.